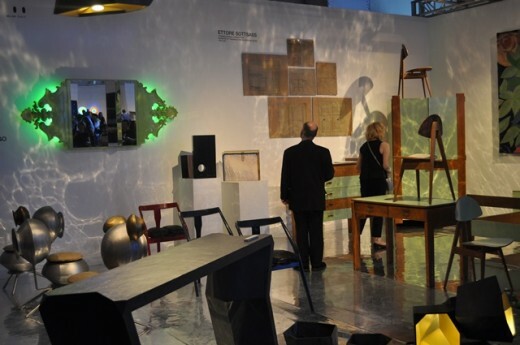 With almost 40,000 visitors, the Design Miami/ 2014 Tenth Anniversary Edition was it’s most successful iteration to date. 35 galleries from as far as Seoul, Lebanon and South Africa and, for the first time, from Miami’s own Wynwood art district, shared their distinctive individual visions and beautifully curated displays featuring the best in both vintage and contemporary collectible design. In attendance were notable visitors including collectors like Patricia Cisneros and Adriana Cisneros Griffin, Peter Brandt, Tico Mugrabi, Aby Rosen, Barry Friedman, Beth DeWoody, George Lindemann, Paula Crown, and Svetlana Uspenskaya, architects Zaha Hadid and David Adjaye, artists Tracey Emin, Theaster Gates, Marina Abramović and Trevor Paglen, magazine editors Glenda Bailey and Margaret Russell, model and business woman Elle Macpherson, actors Owen Wilson and Jane Fonda, gallerist Emmanuel Perrotin, designer Ron Arad, musician André 3000 Benjamin and hotelier André Balazs. For my complete event photo/video album with over 100 photos and 3 videos, go here! Looking further back to 2013, it was evident that this design event had set the bar for design events in the U.S.